The Golfo dei Poeti is a dramatically beautiful area full of little villages, gorgeous colors, and steep cliffs that vanish into the blue waters below. Also known as the Gulf of La Spezia, this area of the Ligurian Riviera begins at the Magra River and finishes at the town of Portovenere. 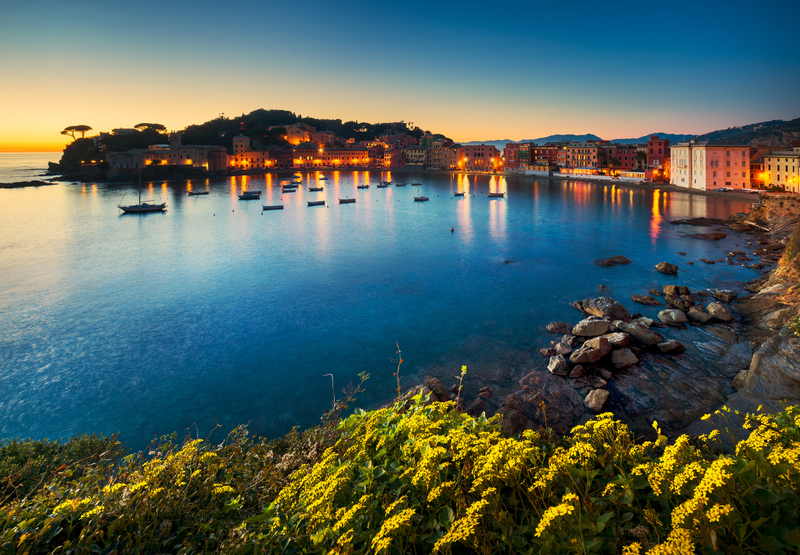 The Bay – called as such because it was a favorite of writers like Shelley, Byron, Petrarca, and Montale – includes the picturesque villages of Lerici, Tellaro, San Terenzo, Montemarcello, the city of La Spezia, and the islands of Palmaria, Tino, and Tinetto. We can help you find the perfect locations and venues for your wedding and any additional events surrounding your celebrations. We will take in to account the style of your wedding, accessibility for you and your guests and, in addition to the main event, other entertainment opportunities the area can offer you for the duration of your stay. Beyond Genoa's claustrophobic eastern sprawl, this narrow strip of coast between the deep blue waters of the Mediterranean and the ruggedly mountainous Ligurian hinterland is home to some of Italy's most elite resorts, including jet-set favourite Portofino and the gently faded Santa Margherita. Anything but off the beaten track, this glittering stretch of coast is hugely popular, but retains pockets of extreme natural beauty and profound authenticity. Set amid some of the most dramatic coastal scenery on the planet, these five ingeniously constructed fishing villages can bolster the most jaded of spirits. A Unesco World Heritage Site since 1997, Cinque Terre isn't the undiscovered Eden it once was but, frankly, who cares? Sinuous paths traverse seemingly impregnable cliffsides, while a 19th-century railway line cut through a series of coastal tunnels ferries the footsore from village to village. Thankfully cars were banned over a decade ago. the Italian Riviera is a stretch of coastline. It’s also an enchanting mix of history, pristine beaches, panoramic views, vibrantly colored homes and mouthwatering regional cuisine. In fact, lovers of la dolce vita and artists, writers, celebrities and royalty have been flocking to this glamorous destination since the 1800s—and it’s easy to see why! 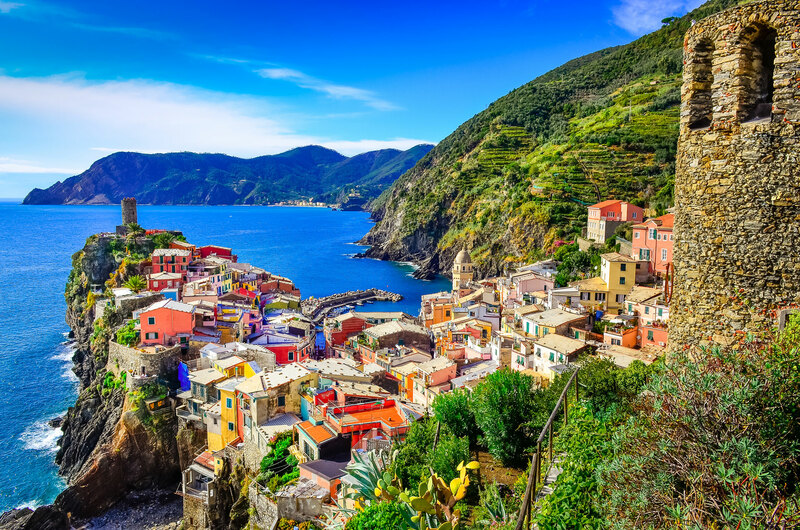 There’s something for everyone: picturesque hiking along the Cinque Terre, music and glitz in Sanremo, open air markets in Ventimiglia, parks in Portofino, and dozens of quaint waterfront towns along miles of clear blue water. The list goes on and on! 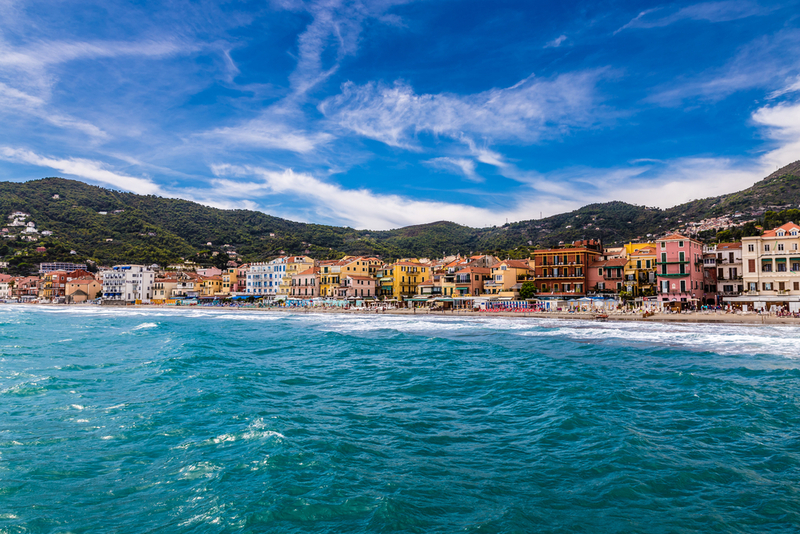 The most popular time to visit the Italian Riviera is during the summer to enjoy the beaches. But there’s plenty to do in the offseason, too. Winters are usually mild, and perfect for exploring the Italian Riviera’s stunning parks and museums. 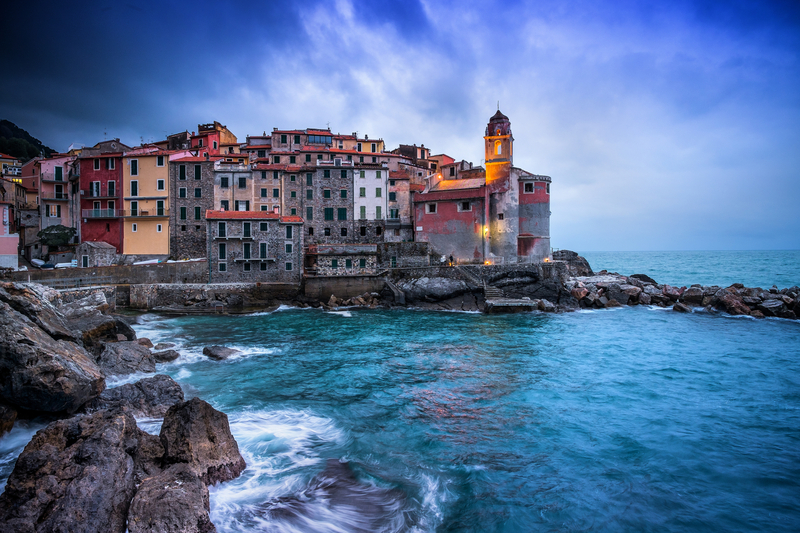 Jagged-edge coasts, enormous cliffs that go on for miles, enchanting, characteristic sea villages: each one is different from the other, yet each one is a reflection of the setting that is the Ligurian Riviera. The Riviera is subdivided into the Riviera di Ponente (Coast of the Setting Sun) and the Riviera di Levante (Coast of the Rising Sun). Curving west from Genoa to the French border, the Ponente stretch of the Ligurian coast is more down-to-earth than the flashy Rivieria di Levante. As a result, it shelters some relatively well-priced escape hatches, particularly along the stretch of coast from Noli to Finale Ligure. The French Riviera is the Cote d'Azur in French. Most of it is within the Alpes Maritimes department which covers 4299 sq km but the western edges fall within the Var department. Both departments are included within the Provence-Alpes-Cote d'Azur (PACA) region. 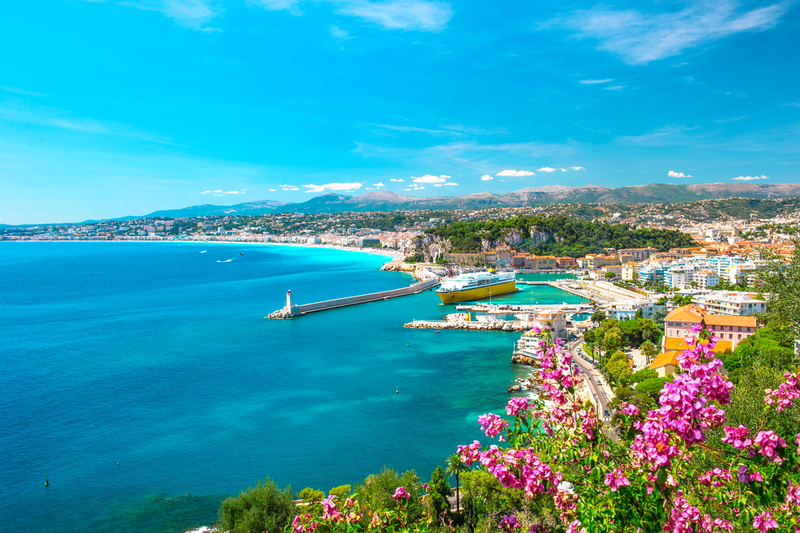 On French Riviera Traveller, I follow the common practice of considering as the French Riviera the entire coastline running from Monaco to St Tropez although some consider that it ends with Theole-sur-Mer. Over a million people reside along the French Riviera including many foreigners (Italian and British) and French people with second residences. Nice is the administrative capital of the department and its largest city.magnificent town, with houses tightly packed together and separated by small steep streets and tortuous ends. 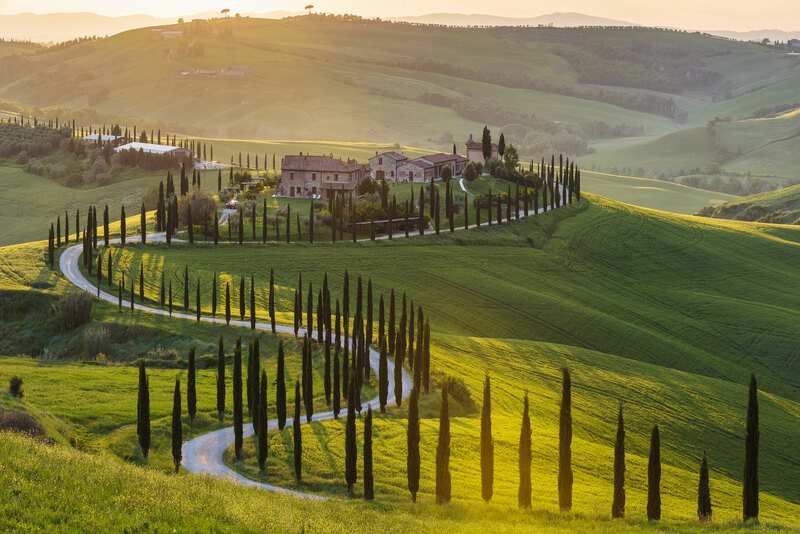 From the Etruscans to the Romans to the Renaissance, Tuscany is possibly the greatest repository of art in the world, from extraordinary paintings and sculpture to frescoes and architectural masterpieces. Visitors to Tuscany come for many reasons. Many come in search of fine art, others to explore the extraordinary countryside. Gourmets and wine buffs descend on Tuscany to enjoy the simple yet wonderful cuisine and wine. Walkers enjoy the mountain paths, cyclists the rolling hills, summer vacationers the sea coast and islands. Students come to learn the beautiful Italian language and culture. 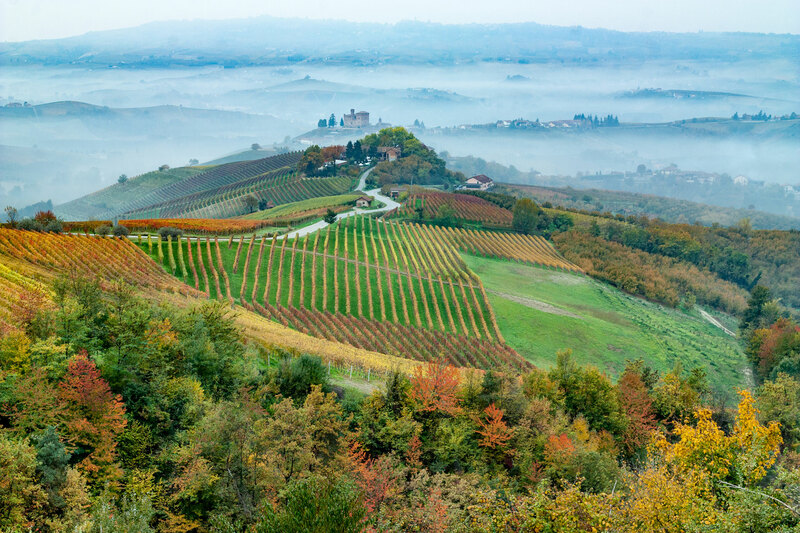 The vineyard landscapes of Langhe-Roero and Monferrato in Piedmont consist of a selection of five distinct winegrowing areas and a castle, whose names evoke profound and ancient expertise in the relationship between man and his environment. They reflect a slowly developed association between a diverse range of soils, grape varieties that are often native, and suitable winemaking processes. They offer panoramas of carefully cultivated hillsides, following ancient land divisions punctuated with buildings that lend structure to the visual space: hilltop villages, castles, Romanesque churches, farms, ciabots, cellars and storehouses for cellaring and for the commercial distribution of the wine in the small towns and larger towns on the margins of the vineyards. The serial property is outstanding for its harmony, and the balance between the aesthetic qualities of its landscapes, the architectural and historical diversity of the built elements associated with the wine production activities and an authentic and ancient art of winemaking. Italy is a universal symbol of love, poetry and romance. Her timeless cultural and historical elegance makes it a perfect location for your destination wedding. The use of texts and / or images of this site is strictly prohibited.